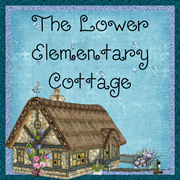 The Lower Elementary Cottage: Caterpillar Craft + Geoboards + Freebies! Caterpillar Craft + Geoboards + Freebies! Did you ever have one of those teaching days where you feel like you've died and gone to heaven because class NEVER goes that well?! Today was one of those days for me! Go read #4 to see why! I'm pretending the 10 minute tantrum that started our day didn't happen...the kid turned it around and had a fairly amazing day, so I'm calling that a success. This kid has a tendency to self-destruct and he didn't this time which was awesome! Today is a linky day! I have Freebie on the first at the bottom. Here is a little peek at my week! I've been a little behind on blogging, it's been a crazy (in a good way) kind of week. So Doodle Bug appears to be busy and hasn't posted yet, but I was so excited to join that I wrote this ahead of time... I'll link it over there later. 1. Eric Carle- He is our author of the week in our class. We've read The Very Hungry Caterpillar, The Tiny Seed, The Grouchy Ladybug, and From Head to Toe. I know there are more... I need to stop by the library to find our Friday book. The first two are PERFECT for my life cycles mini unit we've been working on! 2. Life Cycles! We are going a little crazy with our life cycles stuff, but my kids are OBSESSED with the caterpillars making cocoons. I'm not really looking forward to the creepy moths they will turn into... but the kids are and that's all that matters! 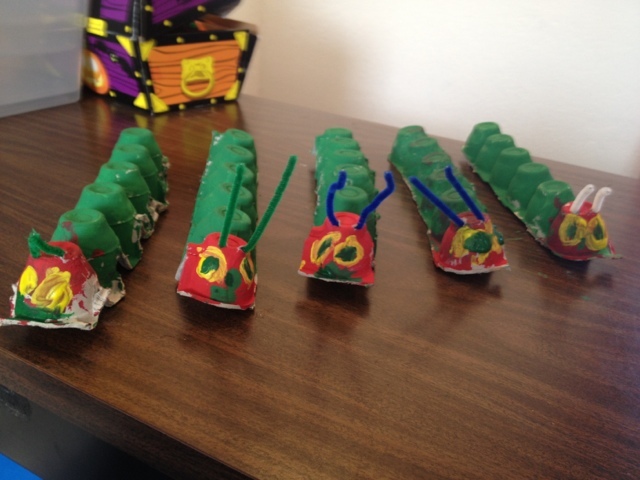 We made Eric Carle caterpillars. 3. 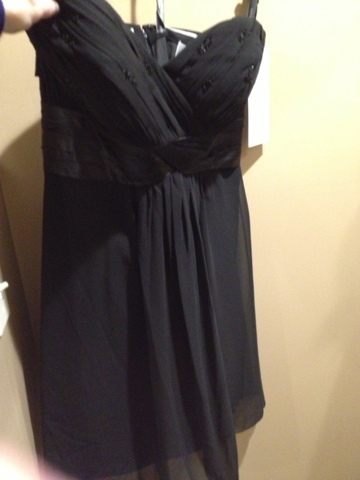 Bridesmaid Dresses! My sister is getting married in September so a large part of my free time has been spent finding wedding gowns for her, and bridesmaid dresses for me and the rest of the girls. This is NOT the final dress. Just one of many I've tried on... How do you like the fake almost smile I have?? Trying on 10 dresses will do that to a person. Hehehe. I actually don't mind playing dress up! It's just the smiling for the 10 picture that did this to me! 4. 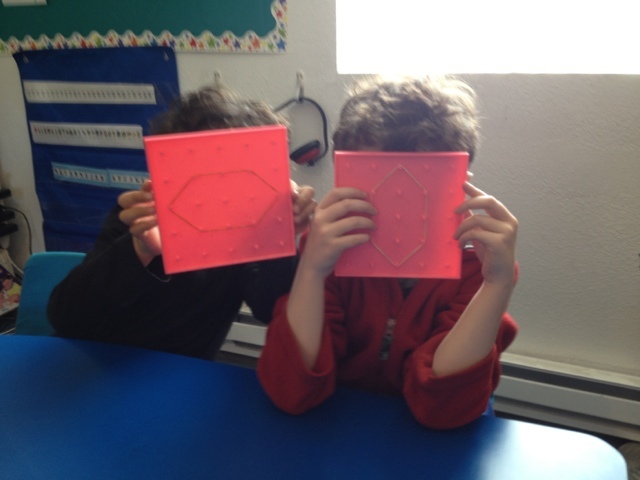 Geoboards!! This was what sent me to teacher heaven!!! For those who don't read my blog all the time... I teach kinder, 1st, and 2nd simultaneously by myself all day long...to kids with disabilities. So that means I teach 3 things at once since they aren't capable of doing the same lesson most of the time. This was true until GEOBOARDS! I had to teach congruence to my advanced boys, and chose to add in my little guys just for fun. I have the entire group completely engaged for 40 minutes!!! I teach kids with autism... 40 minutes of group engagement is unheard of!! By the end of the lesson I had kids talking about sides, vertices/angles, and saying phrases like "I made 2 shapes and they are congruent because they are the same size and shape!" Oh happy day!! They covered their faces for me, so I don't have to edit the pics. Haha. 5. Secrets!! I have a secret that I'm sooo excited about that I could burst! It's TOTALLY teacher/blogger related, but I can't share it and it's killing me!! There are people in my real life teacher world who don't know yet (and it's not 100% anyway) so I can't say anything. Either way, it's making me in a super duper happy mood!!! 6. Since 5 doesn't really count and I didn't tell you anything... This is our latest book club book and I'm loving it already! I'm only on page 80 so don't ruin it if you've read it! Last but surely not least... FREEBIE ON THE FIRST! Okay, I'll admit, I didn't make something new today. Oops! Like I said, it's been a good crazy kind of week. So instead you are getting all of the freebies I've posted this month all on one page in case you missed any! 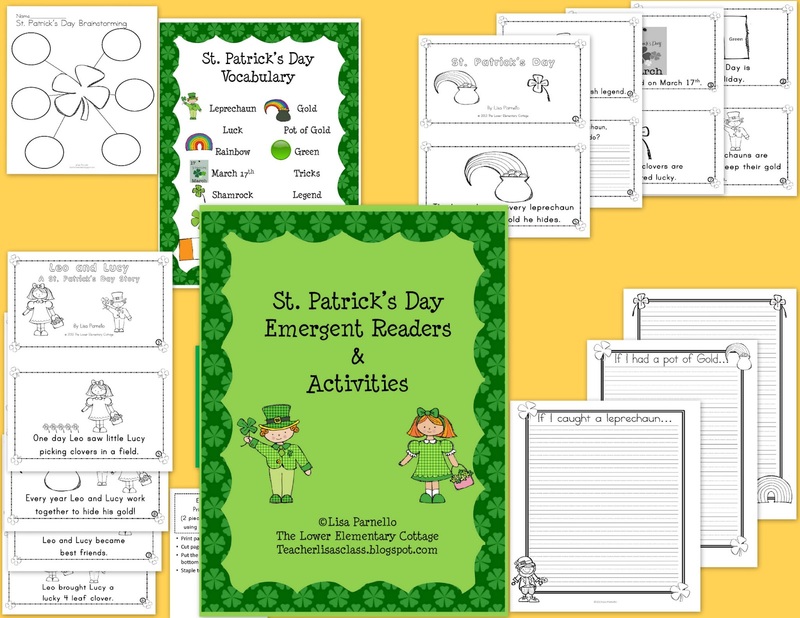 The stationary above goes with the St. Patrick's Day reader set. 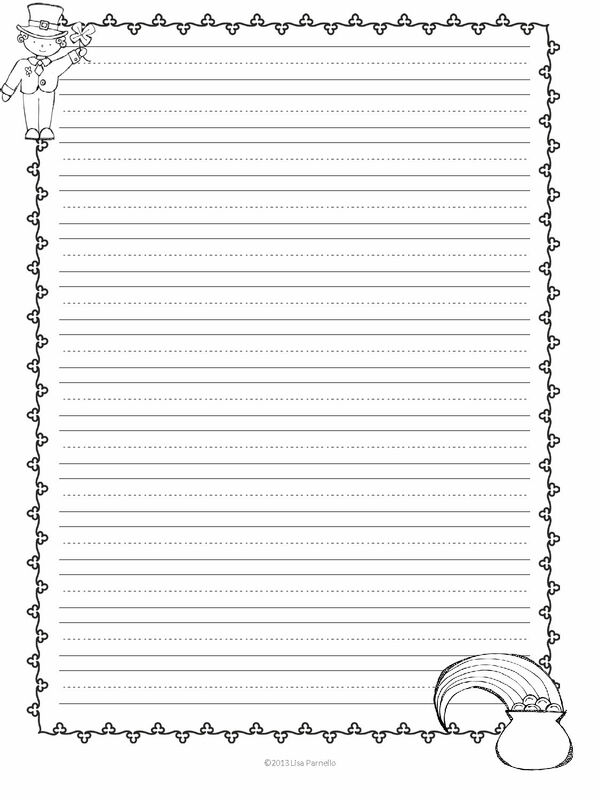 The 3 stationary pages included in the set are DIFFERENT than the one above. 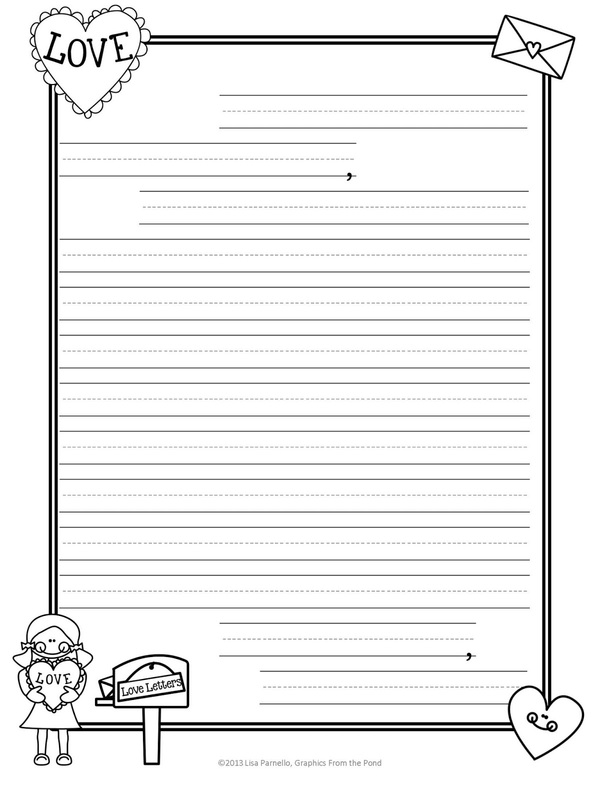 This is not a freebie, but it's the set that inspired the extra stationary page. 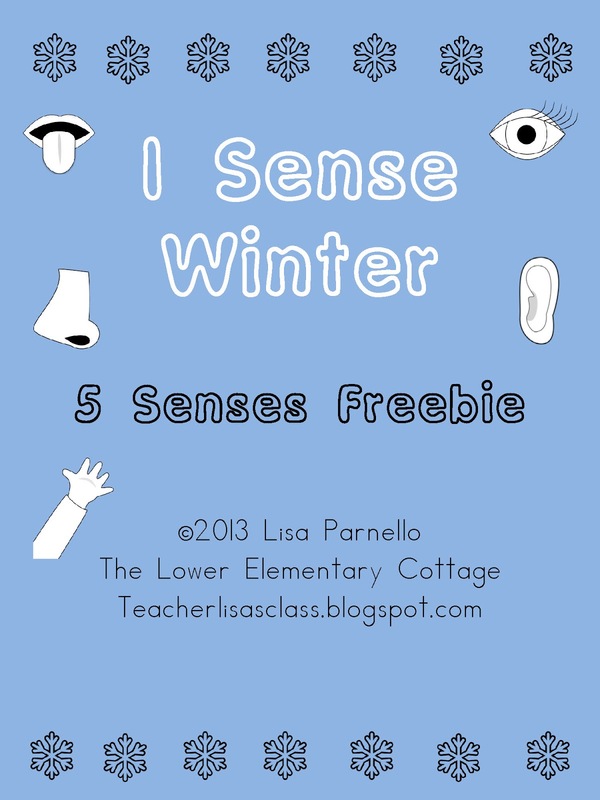 5 Senses during winter. This is part of a larger set. If you go to my TPT store you can find the full set with all the seasons together. We made books and put them together with my binding machine. 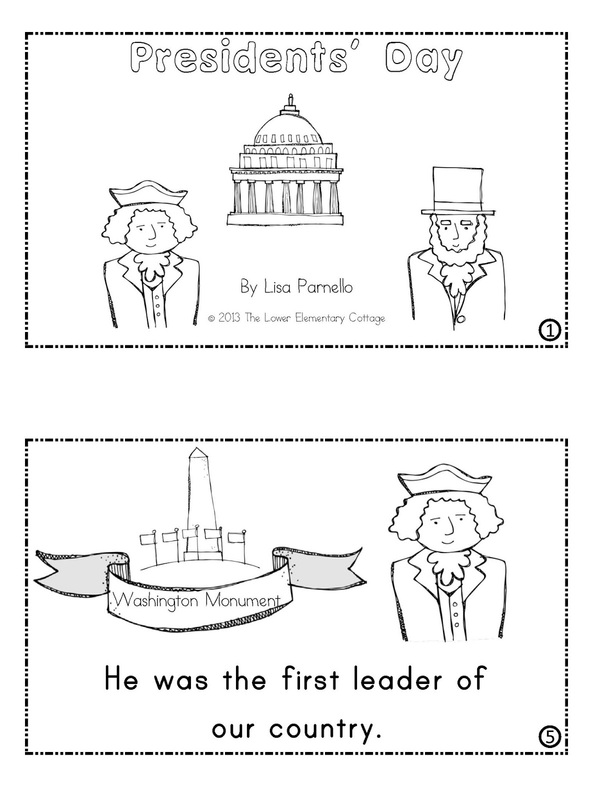 Presidents Day Emergent Reader SET. 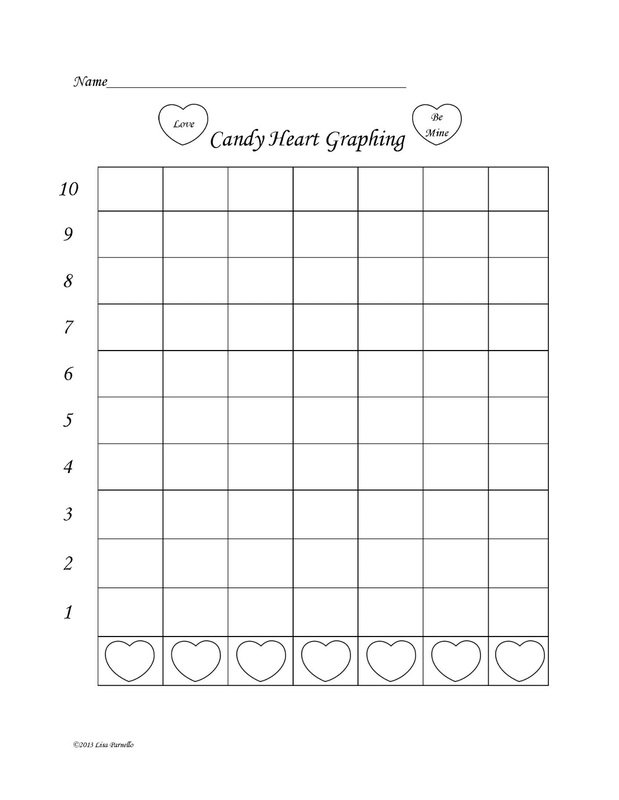 This has other activities with it including character maps for the presidents. Love those cute caterpillars! Thanks for the freebie!! WOW... what a great bunch of freebies. Thanks so much! Did you decide on a dress? I'm getting married in October and I took my maid of honor and one of my bridesmaids out over winter break. 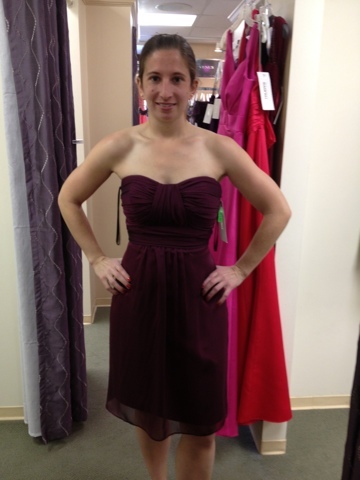 Luckily they only tried on 4 and we decided on a long burgundy color. PS. Your caterpillars are cute! No decisions just yet. I can post a new pic when we have the official dress. All the girls will be going dress shopping again in 2 weeks. 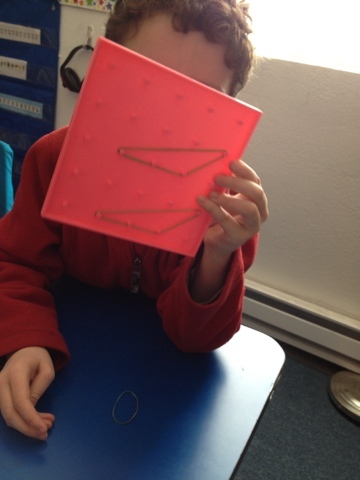 I need to break out the geoboards next week! 40 minutes of engagement is AMAZING! Pat yourself on the back for that! I was sooo excited! I'm actually using it for a formal lesson plan I have to write up this weekend. One kid's dad came up to me and asked about the geometry work his kid brought home. He couldn't believe I taught the kids to do these concepts independently. He was thrilled to see how much his kid learned this week! I can't wait to hear about #5, secrets drive me crazy, lol. I am your newest follower. It's not official just yet. But I promise I'll post as soon as I am free to tell the world! I love those caterpillars! So fun! Can't wait to hear your big secret! My kiddos love all things Eric Carle too! Can't wait to hear what your top secret surprise is!! Freebies! Currently and MORE Freebies! Happy Easter! Flash Freebies Today! 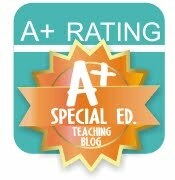 Blog Swap with Autism Classroom News! Easter Crafts! Free Clipart! Sale! NEW Earth Day Clipart! Giveaway Reminder! Easter **Giveaway**!! Sunflower Hats Craft! Easter "Time" Freebie on a Quiet Day! New Carpet! New Shelves! Funny Kid Writing!